It’s been a while, so let’s meet another amazing Kid Blog Star of the Week – say hello to Mika from The Sci Fi Pie! Eleven-year-old Mika is from Poland, but currently lives in County Meath in Ireland. He comes from a super social media family, since his mum also has a blog and his dad is a Youtuber! As you can guess from the name, Mika’s blog is all about his passion for science fiction, but also real life science, especially space travel. 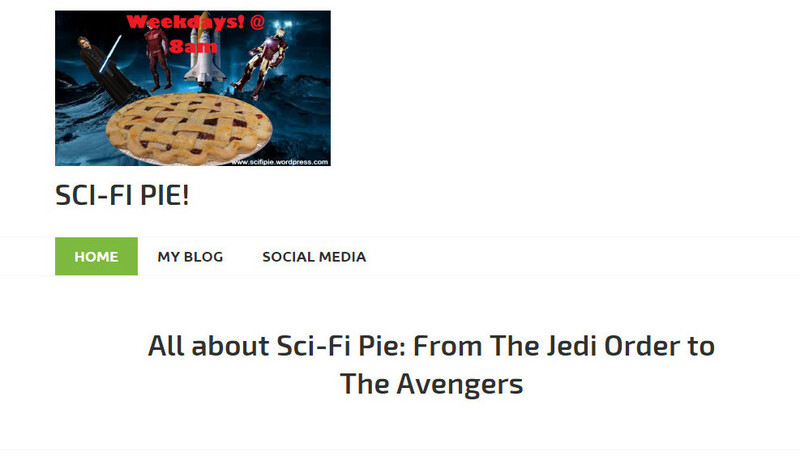 So go and say hello to Mika and maybe go leave a comment on The Sci Fi Pie! hope you enjoyed making that pie you are killing it hope you get lots of views and keep bloging! hope you have fun making some more.